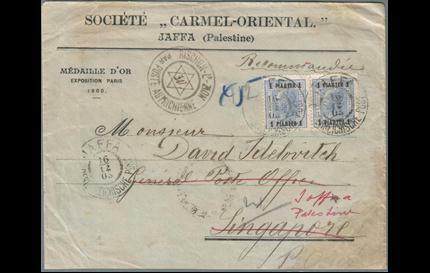 The Alexander Collection in the Alexander Museum of Postal History and Philately in the Eretz Israel Museum in Tel Aviv is an impressive assemblage of historic and philatelic documents embracing six centuries of history in the Holy Land. For over 50 years, Zvi Alexander has worked diligently to build this very significant collection of Holy Land postal history. The collection’s importance derives from its enormous scope, the length of the historical period it covers, and its unique concentration of rare and significant items. Stamps and their usage on letters reflect not only the historical, economic, cultural and political background of their times, but also demonstrate the means available for communication and the prevailing transportation arteries. 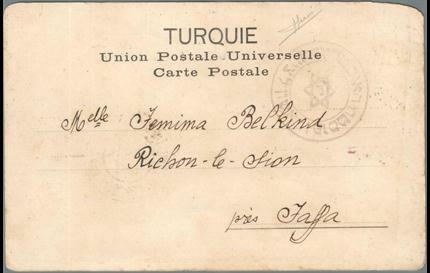 Until recently, letters were the most common and important way for people to communicate with family, friends, business associates and institutions. Thus, through philately, we learn about the lives of people throughout different periods and in many places around the world. 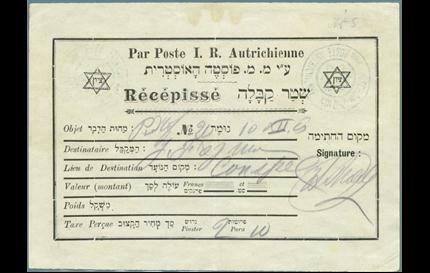 A continuous Jewish presence remained in the land of individuals immigrating to Israel, mostly for religious reasons. In 1870, the first Jewish agricultural school, Mikveh Israel, was established by the Alliance Israélite Universelle. The school’s purpose was to help the Jews in the Land of Israel become self-sufficient and improve their living conditions. Indeed, the 1880’s saw the establishment of the first Jewish agricultural communities (Moshavot) in Palestine, followed by the first communal settlements, the moshavim and kibbutzim. After World War I, the Ottoman Empire disintegrated and the British ruled Palestine for thirty years. World War II brought with it the illegal immigration of Jewish refugees from Europe. Finally, May 14, 1948 saw the birth of the State of Israel. The Alexander collection depicts the history of the Holy Land through the eyes of a philatelist and postal historian. 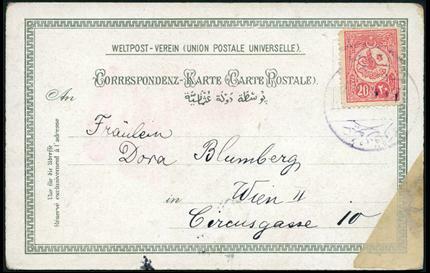 Beginning in the fifteenth century, through the pre-philatelic period, the Turkish Post, Foreign Post Offices, World War I, the evolution of Zionism, the development of agricultural settlements, the British Mandate, the struggle for independence, the Israeli War of Independence, and up to the birth of the State of Israel. 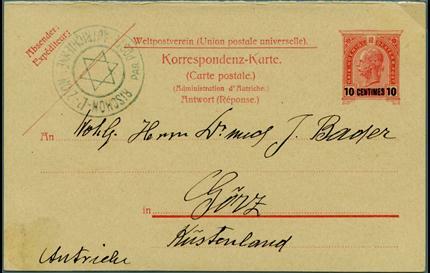 The collection sheds light on postal services and the Holy Land from a broad historical perspective. It highlights both the geopolitical and socio-economic aspects of the respective peoples and periods, with a particular emphasis on the strong ties of world Jewry to the Land of Israel and the Zionist endeavor. It also includes collections of “Arab Palestine” showing the Arab effort to fight against the establishment of the Jewish State, and "Overland Mail" via the Syro-Iraqi great desert.